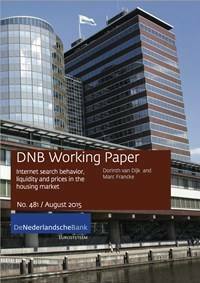 In this article we employ detailed internet search data to examine price and liquidity dynamics of the Dutch housing market. The article shows that the number of clicks on online listed properties proxies demand and the amount of listed properties proxies supply. The created market tightness indicator Granger causes both changes in prices and market liquidity. The results of the panel VAR suggest a demand shock results in a temporary increase in liquidity and a permanent increase in prices. This is in accordance with search and matching models. This paper also provides evidence for loss aversion for current homeowners as prices generally declined during the sample period (2011 - 2013).